Death happens to Everyone, no family is left untouched. Even christian families must deal with the reality of death.This is a collection of the 26 most asked questions and their bible based answers. 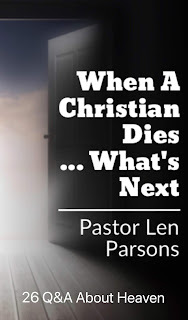 The God of All Comfort has Given us Much information about where christians go at Death and What death Actually is .This is a great tool to get for yourself or gift for someone you know.